You will love this beautiful dance inspired pocket mirror featuring Rudolf Nureyev's phrase "I am a dancer". Slip it into your makeup bag or offer it as a gift to a friend. Exclusively designed by Un soir à l'opéra, this pocket mirror is the perfect gift for every dancer. Whatever kind of dance you like, this dance pocket mirror is for you! Check out our other items from our Dance accessories section. 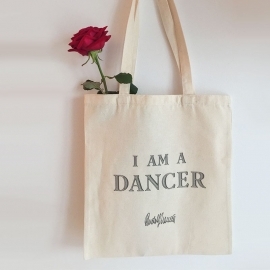 Let everybody knows that you are a dancer ! 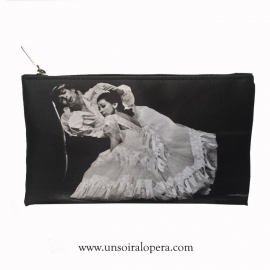 Our Manfred dance Tote Bag will match perfectly with this mirror or maybe you will prefer the Marguerite Makeup pouch ? Don't worry! Our mirrors are carefully wrapped in bubblewrap.